Fine Art Asia 2018, Asia’s leading international fine art fair, returns to the Hong Kong Convention and Exhibition Centre next week. This year Ink Asia 2018, the world’s first art fair dedicated to ink art, will be staged alongside Fine Art Asia 2018, creating a truly stunning treasure trove for collectors and art lovers. Founded in 2006, Fine Art Asia 2018 is recognised as Asia’s leading international fine art fair. Attracting major Hong Kong and international galleries, the fair provides an unrivalled platform for art and antiques in Asia. Spanning 5,000 years of cultural history are museum-quality Asian and Western antiques, jewellery, antique silver and timepieces; Impressionist, modern and contemporary art; and photography. Fine Art Asia 2018 and Ink Asia 2018 will be staged at the peak of the art season in Hong Kong, at the same time as major art auctions, attracting dealers, collectors and art connoisseurs from all over the world. 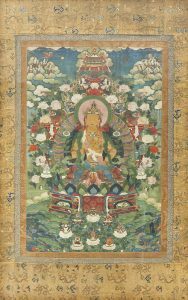 Renowned international exhibitors returning to Fine Art Asia include Rossi & Rossi (London/Hong Kong) with Himalayan classical art and early textiles; Jorge Welsh Works of Art (London/Lisbon) with Chinese porcelain; Carlton Rochell Asian Art (New York) showing Buddhist masterworks from Tibet and Nepal; Rasti Chinese Art (Hong Kong) with Chinese antiques; David Aaron (London) presenting Near Eastern, Egyptian, Classical and Asiatic antiquities; Maria Kiang Chinese Art (Hong Kong) with scholar’s objects; Galerie Lamy (Brussels) with Oriental and Chinese porcelain, bronzes and jades; Vanderven Oriental Art (The Netherlands) exhibiting Chinese porcelain and works of art; Tenzing Asian Art (San Francisco) showing Himalayan sculptures; and MD Flacks (London) and Nicholas Grindley (London) with classical Chinese furniture and works of art. Koopman Rare Art (London), Esmé Parish (Singapore/Hong Kong), and Silver and Silver (Milan) return with fine antique silver; Somlo London with antique timepieces; Susan Ollemans (London) with jewellery from China, Vietnam, Cambodia, India and Indonesia, as well as Chinese scholar’s items; while D’Joya (Birmingham, UK), showcases contemporary designed jewellery. Lucky Jewelry (Taipei) presents both rare Asian jewellery and iconic Western pieces; while On Tung Jewellery (Hong Kong) specialises in exquisite jadeite jewellery, both antique and contemporary. Kai-Yin Lo (Hong Kong) showcases her ‘History to Wear’ collection incorporating Chinese and Central Asian antiques into stylish wearable jewellery; while Yewn (Hong Kong) presents innovative jewelled artworks inspired by Imperial Chinese dynasties. Gladwell & Patterson (London) return with Impressionist and modern paintings by masters including Claude Monet, Gustave Loiseau and Salvador Dali. 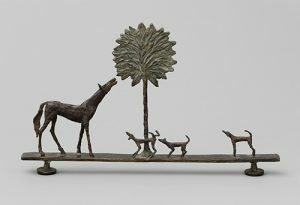 Galerie Dumonteil (Paris, Shanghai and New York) as usual presents the finest art on animal themes, with special highlights by Rembrandt Bugatti, Joseph Csaky and Diego Giacometti. Shibunkaku (Kyoto) showcases contemporary Japanese art, while Tanya Baxter Contemporary (London) specialises in contemporary British art. 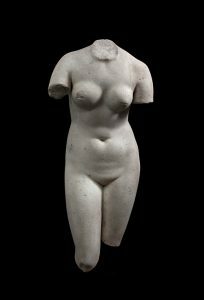 Among new exhibitors at this year’s fair are leading antiques and art galleries from Asia, Europe and the USA, including Art & Archaeology Horiuchi (London) with classical Roman sculptures; Boccara Gallery (Paris/ Brussels) with antique and modern tapestries, modern and contemporary paintings; H.W.C. Dullaert (Amsterdam) with antique porcelain, especially pieces relating to the Dutch East India Company; K.S. Sze & Sons Ltd (Hong Kong), Ilgiz F. (Moscow) and Maison Guan (Hong Kong) with fine jewellery; Rossi Martino (Hong Kong) with post-war European art; Haynes Fine Art (London) showing 19th-21st century European paintings; and iPreciation (Singapore) presenting contemporary Asian art. For the third year, the photography section of the fair presents a selection of artworks from vintage to contemporary, curated by Boogie Woogie Photography Agency (Hong Kong). Notable newcomers include Pékin Fine Arts (Beijing/Hong Kong); f22 foto space (Hong Kong), Independent & Image Art Space (Chongqing), and Galerie Esther Woerdehoff (Paris). In addition, there will be a special exhibition by the University Museum and Art Gallery (Hong Kong). Exhibiting for the first time at Fine Art Asia 2018, the aim of the Association is to unite craftsmen worldwide, promote craft culture, encourage young people’s interest in crafts, and let Hong Kong people know more about craftsmen’s experiences. Artworks from Japan, China and Hong Kong are featured, including Tenmoku tea bowls by Takeshi Furukawa, pewter and other Japanese metal arts by Seikado of Kyoto, works by Hong Kong’s first resin wood craftsman Rolland Cheung and botanical pieces by Irene Choy. Curated by Eric Leung and presented by Fine Art Asia 2018, ‘Sculpture Contemporary 2018’ features the work of established Hong Kong artists Kevin Fung, Ho Yuen Leung, Tenme Kwan, Jaffa Lam, Lam Yau Sum, Danny Lee, Jarvis Luk, Man Fung Yi, Mok Yat San and Matthew Tsang. The Fine Art Asia 2018 Academic Programme features lectures and seminars by leading art experts from Hong Kong and overseas. For details, please visit www.fineartasia.com/lecture-programme. The Hong Kong Art School, a division of the Hong Kong Arts Centre, is the Education Partner of Fine Art Asia for the seventh year and will hold artist talks and workshops at its booth during the fair. For the third year, the main beneficiary of the fair is Po Leung Kuk, a charitable organisation in Hong Kong that provides support for orphaned children, education and other services. Proceeds of ticket sales at Fine Art Asia 2018 will be donated to the charity. Po Leung Kuk will introduce its services and also present a series of workshops related to art and culture. 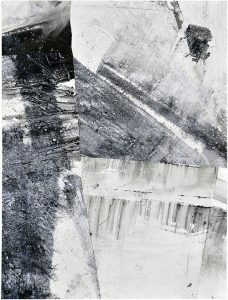 On display at its booth will be works by young Hong Kong artists. Leading galleries at Ink Asia 2018 demonstrate how ink has successfully made the transition from tradition to contemporary. The fair features a wide range of media including paintings, calligraphy, prints, sculpture, video and installations, demonstrating that the spirit of ink is by no means limited to traditional paintings on rice paper. Among Hong Kong galleries, Alisan Fine Arts showcases Walasse Ting (1928-2010), whose art blends Eastern materials with Western colours and composition; French abstract artist Fabienne Verdier (b. 1962) and Lan Zhenghui (b. 1959) whose monumental works feature bold, kinetic strokes. 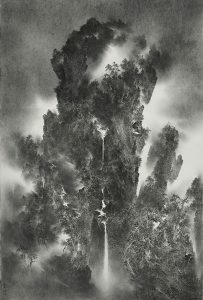 Hanart TZ Gallery has a solo exhibition of Cao Xiaoyang who explores the possibilities of charcoal on paper to create intricate, atmospheric images of the world of shanshui (Chinese landscape art). Featured are outstanding works created over the last decade, including his newest work, a monumental scroll measuring 2.5 metres in height. Grotto Fine Art exhibits Hong Kong artists including Koon Wai-bong (b. 1974) whose landscapes are influenced by Five Dynasties artist Dong Yuen (c. 934-962). Galerie du Monde presents works by the Taiwanese master of modern Chinese art Liu Kuo-sung (b. 1932) as well as Fong Chung Ray, Wang Gongyi, Kwok Hon Sum and Fung Ming Chip. Galerie Ora-Ora exhibits innovative artists Zhang Yanzi and Xiao Xu. Among Mainland Chinese galleries, INK studio (Beijing) presents works by some of China’s most compelling ink artists today including artist, scholar, writer and film-maker Bingyi (b. 1975), as well as Li Huasheng’s (1944-2018) iconic grid paintings in commemoration of his recent passing. Meanwhile, Amy Li Gallery showcases Wang Jianwei (b. 1978) and Sun Hao (b. 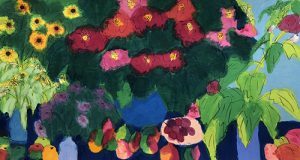 1980) among others; 55 Art Space has works by Shen Qin (b. 1958) and Xu Jing (b. 1975); and Aura Gallery presents Tan Jun (b. 1973) and Liao Mingming (b. 1983). Illuminati Fine Art (Hong Kong) exhibits more than 10 scroll paintings on the theme of lotus by Lam Tian Xing (b. 1963). The artist will use brush and ink to perform live drawing the fair, extending the floral pattern on two wall panels with a total width of nearly 3 metres. Also presented is Tribute to Dwelling in the Fuchun Mountains (No. 1-4) by Chan Keng Tin (b.1979).